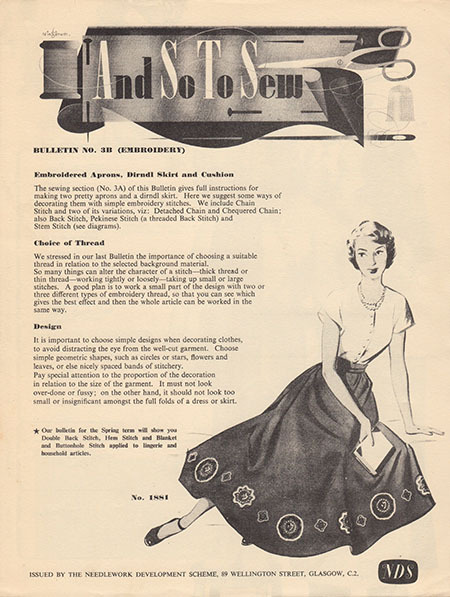 Embroidered motifs for the two aprons and dirndl skirt from “And Sew to Sew” leaflet 3a. Since many of us don’t have a teacher to show us how to work these stitches in person. here are some tutorials I have found for the stitches in this leaflet.